The changes in sailing had been on the horizon for a while. The turning point we can all point to was the last America’s Cup with foiling catamarans.In the Vendee Globe, the boats which have foils are clearly faster. I believe I read that Joyon cut the jig down on Idec for this attempt; making it an easier boat to handle. Just look at the numbers he is putting up. 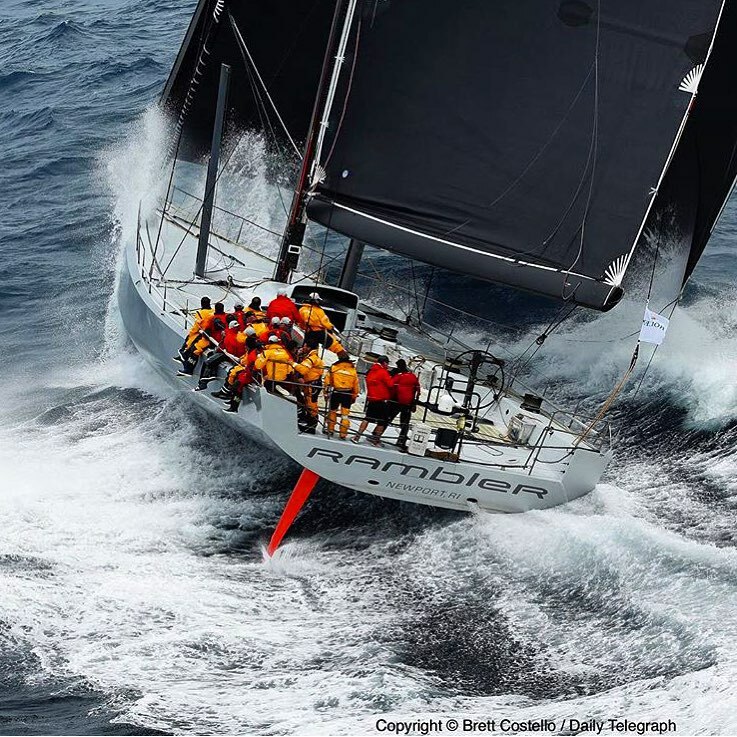 (July 22, 2016) – Comanche, the 100 foot racing yacht owned by Jim Clark and Kristy Hinze-Clark, will depart this evening from New York (USA) and point her bow East to Britain as the record-breaking monohull takes on the Atlantic in a bid to continue breaking world records. An exciting weather window has opened up which promises fast conditions with strong wind, great angles and flat seas all the way to Europe. With Comanche skipper Ken Read committed to TV commentating at the Louis Vuitton America’s Cup World Series in Portsmouth, England, over the weekend, the world class crew will be led by experienced sailors Casey Smith, Tony Mutter, Richard Clarke and Navigator Stan Honey. Due to other commitments, Comanche will also be missing regular crewmen Kelvin Harrap, Warwick Fluery, Jimmy Spithill and Ryan Godfrey. North Sails President Ken Read, speaking from the America’s Cup event in the UK, said, “A fantastic weather window has opened up for Comanche to take on the Atlantic. We have been on standby for a few weeks now and have almost left on three separate occasions since the end of June, and each time we have had to piece together a different team based on who is available, before the weather fizzled out and shut down those attempts. But now the right conditions have presented themselves. The current monohull transatlantic record from West to East (Ambrose Lighthouse to Lizard Point) is 6 days 17 hours 52 minutes and 39 seconds, set by Mari Cha IV in October 2003. 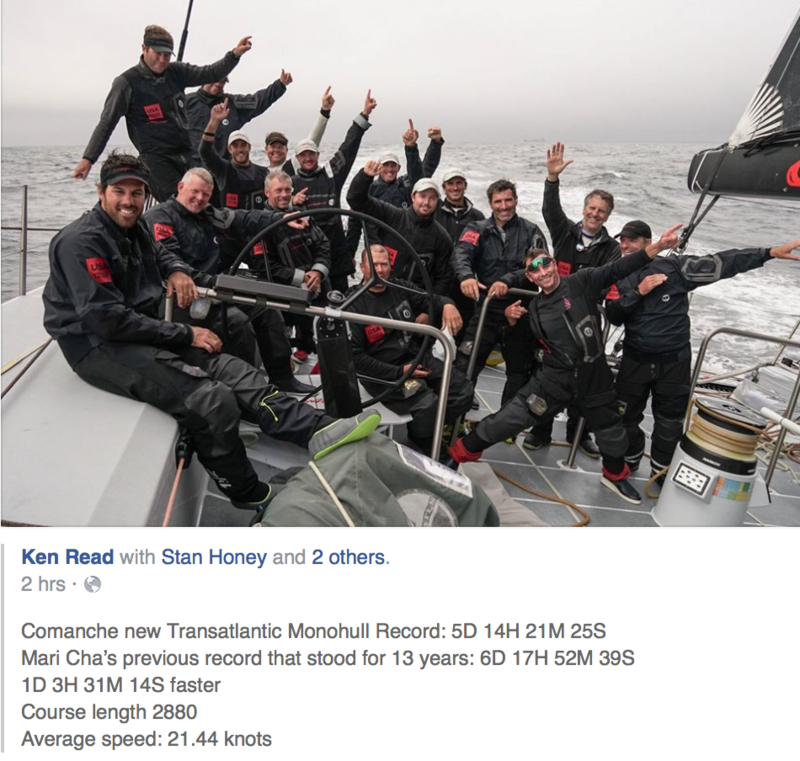 In 2015, Comanche set the 24 hour monohull distance record of 618 miles as they raced across the Atlantic (at an average speed of 25.75 knots). 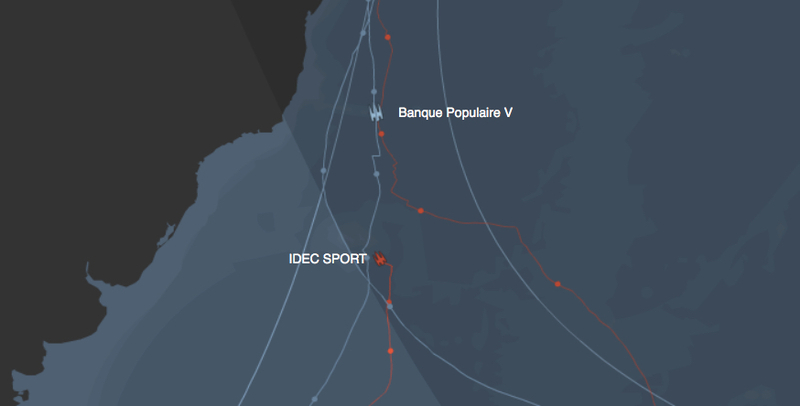 Both IDEC and Spindrift are trailing the record holder Banque Populaire; crossing the equator on New Year’s day. Anything is possible, but nothing must go wrong between now and the finish to equal or better the record. 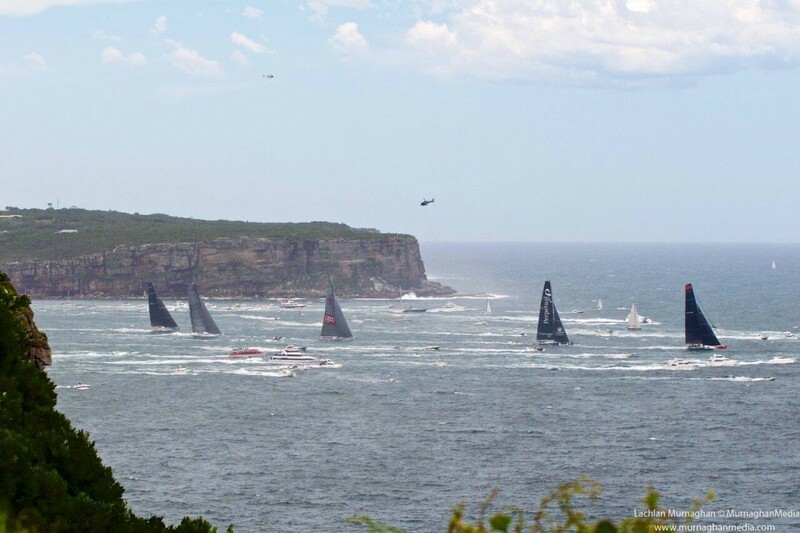 It is Boxing Day and the start of the Sydney-Hobart race. 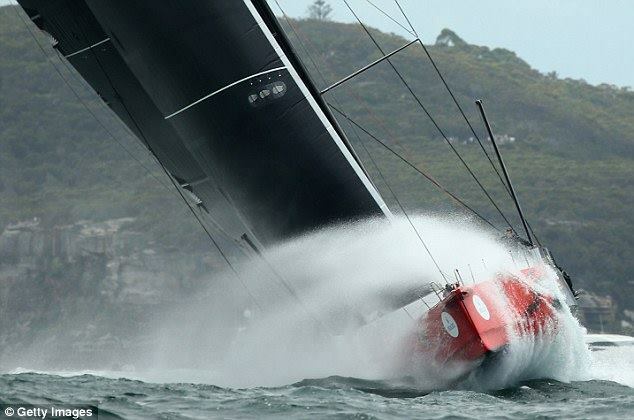 The weather has lived up to the prediction and the big boats have hit the Southerly Buster. Once through it the winds lighten and the small boats may catch up. Nursing a boat around the world is no mean feat. Idec with it’s smaller rig may be better suited to resisting this kind of damage. Any big Trimaran going around the world it is more about slowing down and finishing than pedal to the metal. I have always had great admiration for those who dare to do. A smaller boat with a smaller crew require smarter sailing. 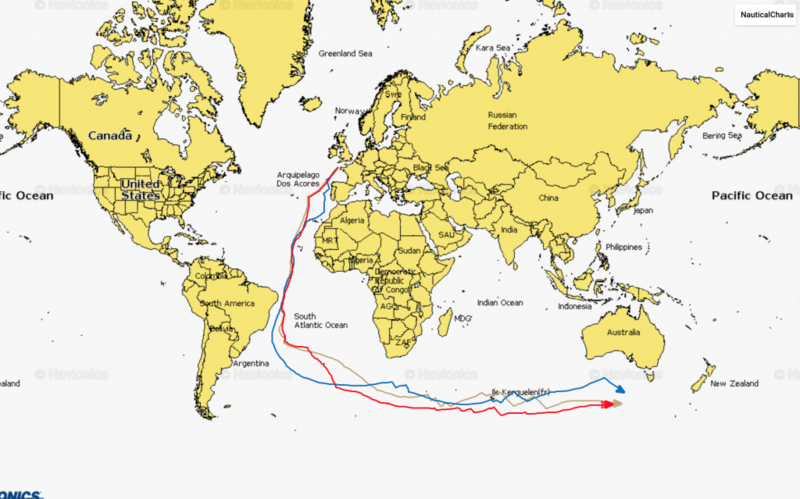 IDEC is further south than any boat has gone, good wind and shorter distance are the benefits, icebergs are the danger. So far, it has paid off as they are almost back even with the standing record. 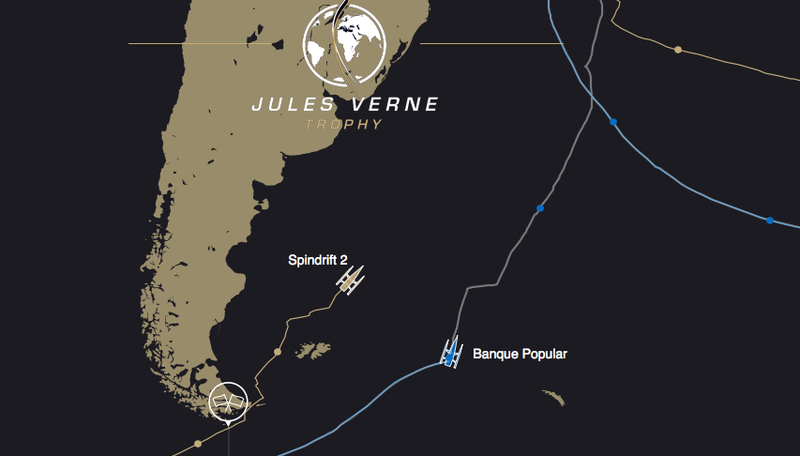 Spindrift, further north is ahead of the record by some 80 miles. Both boats are almost halfway around the world. It is still a long way to the finish. 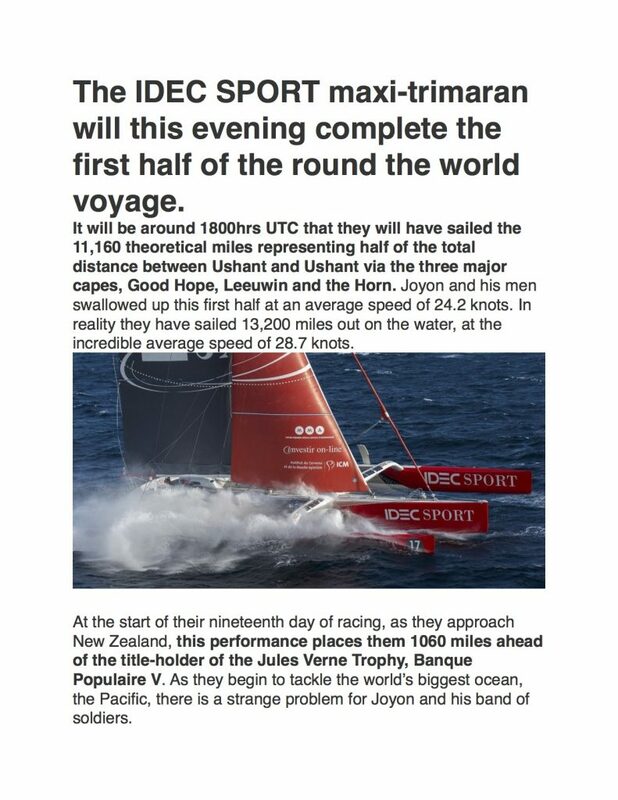 IDEC is about 350 miles behind the record at present; and Spindrift is just ahead of the record. It is so interesting to see who jibes when and why. MAINTENANCE DAY ABOARD “SPINDRIFT” you have to finish to win. In the breaking news dept: Franck Cammas has had a serious injury while sailing.